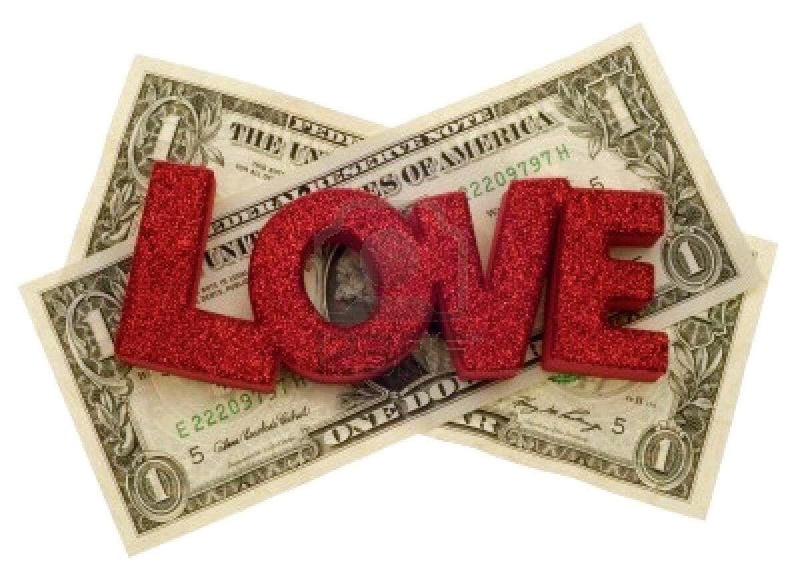 Trickster Mercury will be retrograde for most of this month and will play a hand in both the love and money departments. 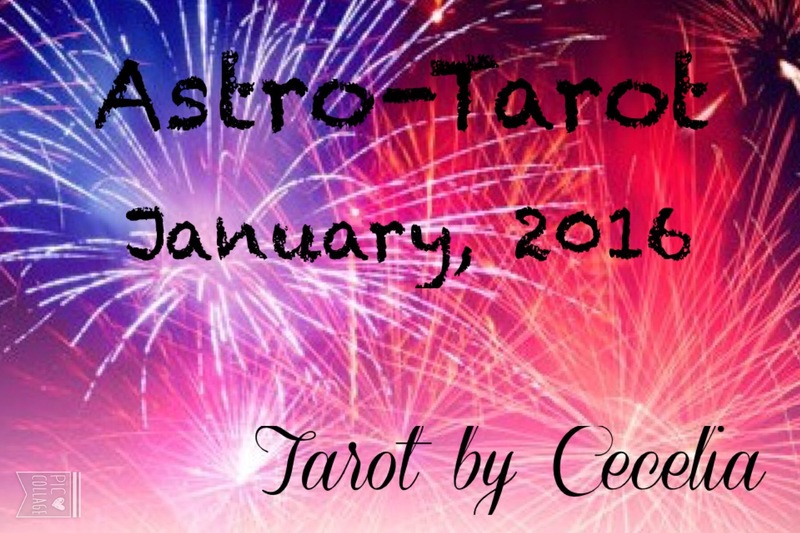 This entry was posted in Astro-Tarot, Love and Finance, YouTube Videos and tagged Finances, January, Love, Mercury, Money, Retrograde, Tarot. I do not think you could start the year on a more positive note. 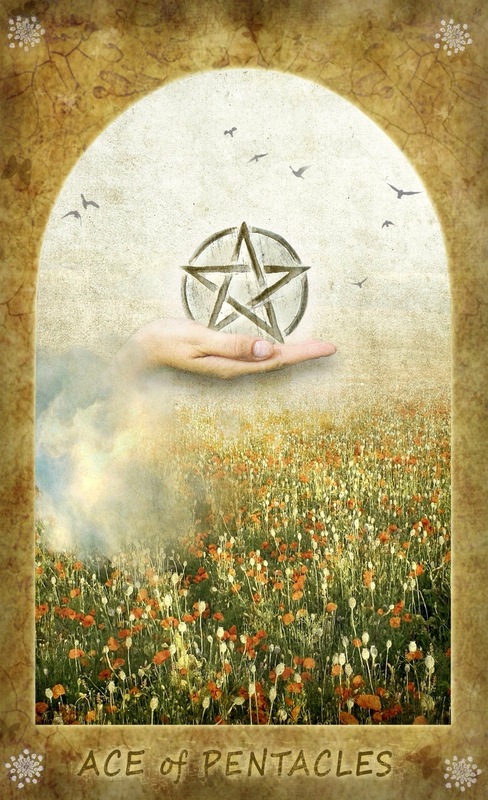 The Ace of Pentacles makes an appearance to set the tone for the year to come. Be ready to receive the gifts which the universe has to offer. If you have put in the work, then truly this is your year. On the flip side, if you have not been doing the work needed, then that outstretched is going to pull back and take things away. It’s your choice. Happy New Year! This entry was posted in Card of the Day, YouTube Videos and tagged Ace of Pentacles, Card of the Day, Finance, Guidance, Path, Reading, Tarot. Still pondering those after Christmas sales? 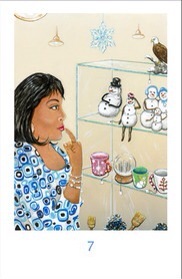 The 7 of Cups is here to remind you to make realistic choices. This applies to more than what may be unnecessary purchases. Today is New Year’s Eve and many of you are out there, once again creating unrealistic goals for yourself in the form of New Years resolutions. Take a step back this year and think where your time and energy may best be put to use. Then, choose wisely. 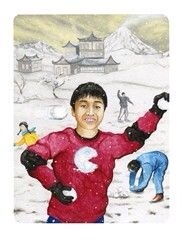 This entry was posted in Card of the Day, YouTube Videos and tagged 7 of Cups, Card of the Day, Guidance, Path, Reading, Tarot. If you are fortunate enough to be among the many who do not have to work today, then pause and enjoy the beauty around you. 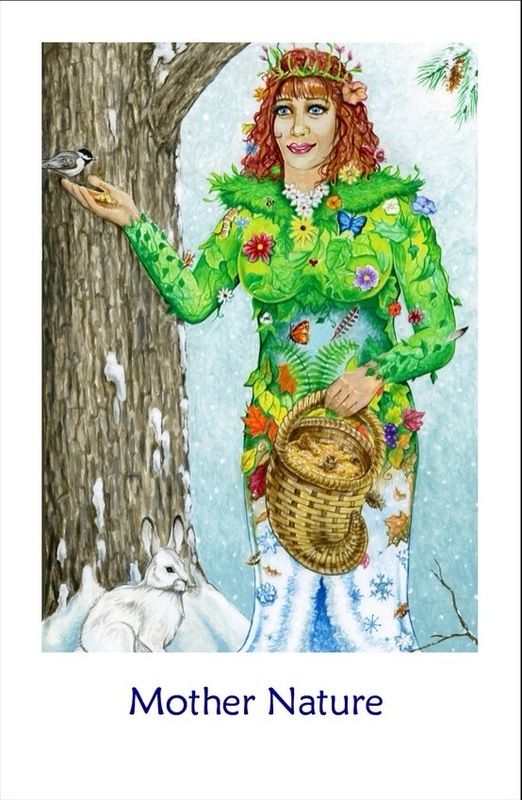 Mother Nature, our Empress card of the day is here to remind you of your feminine, nurturing side. Today is a good day to see some current projects coming to fruition. Keep working on everything which has already been in place, to achieve your best success. And, by all means, go outside, if you can, and give thanks. This entry was posted in Card of the Day, YouTube Videos and tagged Card of the Day, Empress, Guidance, Path, Reading, Tarot. Recognition is coming your way for a job well done. Not only are you successful, but others can see how good you are as well. The stress still exists, but it is definitely lifting. Seek alternative methods to help relieve it. 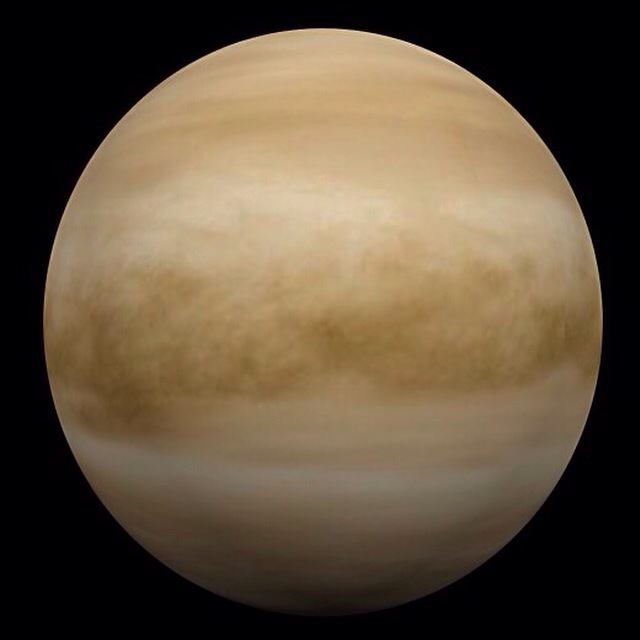 You will be able to manifest financial opportunities at this time, but take care not to enter into new financial relationships as Mercury will be retrograde for the better part of this time period. This New Year has really started off feeling much freer for you due to all the progress which has been made. Continue to work on manifesting what you need. You will find more help around the New Moon. There is not much further to go considering how far you have come. To the victor belong the spoils. Soon you will be able to make that choice which takes you toward your hopes, dreams and wishes. Perhaps love is on it’s way this year. A month from now you will need to make a choice. Choose wisely. This entry was posted in Through the Eyes of Tarot and tagged Guidance, Path, Reading, Sagittarius, Tarot, Venus. You know, this card is often considered to represent struggles and strife. Today, we are going to make it be all about fun. For many, this is a vacation week, so interaction with others is on a more casual and fun pace. Hopefully, the children are all enjoying their time away from school and everyone is getting along splendidly. This particular depiction is certainly a card of playing well together and applies to the adults as well. This entry was posted in Card of the Day, YouTube Videos and tagged 5 of Wands, Card of the Day, Guidance, Path, Reading, Tarot.